Very Good. 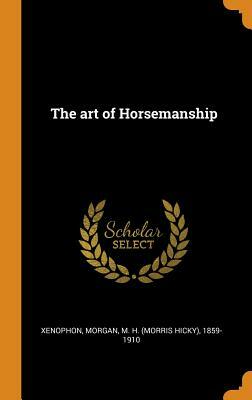 The Art of Horsemanship by Xenophon, 2006-03-31. Trade paperback (US). Glued binding. 187 p. Contains: Illustrations. Very Good. Illustrated throughout with numerous photographs and line drawings, carefully chosen by Professor Morgan for their usefulness in explaining the various subjects treated in the text, Xenophon's work appears for the first time in paperback. Trade paperback (US). Sewn binding. Cloth over boards. 192 p. Contains: Illustrations.